Half Moon Bay is one of the best towns for great pizza. You can find a variety of styles which are influenced directly from Italy. Here are a few places where you can taste it for yourself. 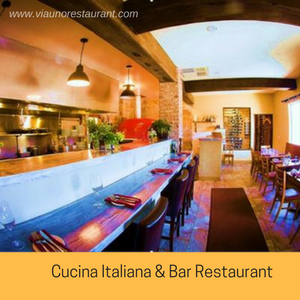 VIA UNO is owned by Francesco D’Agostino and Massimo Sarubbi and opened in March 2014. The place is modern, simply furnished with a nice “patio” for the guests. You can dine it at 2810 Cabrillo Highway One North Half Moon Bay, CA 94019. It’s Italia opened in 1997 as a San Francisco style trattoria and pizzeria serving gourmet pizzas, house pastas, and creative salads, always with a California Italian flavor.Thirteen years later, having moved into the beautiful Half Moon Bay Inn on Main Street Half Moon Bay, their menu has expanded to include seafood and meat selections from our rotisserie and mesquite grill, artful pastas and award winning pizza, creative salads and antipasti, and an array of house desserts. A Tuscan style courtyard patio with fireplaces and a fountain is ideal for large parties and receptions. Their pizza is made from wild yeast leavened dough in small batches made from Caputo flour, organic Bianco DiNapoli Tomatoes Organic seasonal vegetables , Fra’Mani meats, Organic, seasonal, local, naturally raised whenever possible. Located in 20 Stone Pine Rd. Suite D. Half Moon Bay, CA 94019.